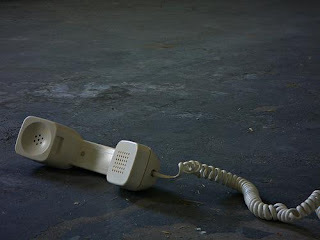 Cost is the top reason many people cite for getting rid of their landline. Why pay for a telephone you don't use? The average household spends a minimum of $40 per month on a landline and that amount is only if you don't add features such as caller ID, call waiting, and voicemail. Even if you bundle your landline with your cable and internet service, you're still paying for a phone you rarely, if ever, use. Landline carriers charge for long distance. If you don't want to pay for long-distance charges, you need a prepaid long-distance card. But many mobile phone plans cover both your local calls and calls out of your area. Roaming fees are part of the past. So that's another saving. Today, calling worldwide is easier and cheaper than before. All you need is a smartphone produced during the last few years. While it's a relatively new feature for cell networks, it's gaining in popularity. T-Mobile is one of the networks that offer this feature. Trading your landline in for Wi-Fi calling with T-Mobile, for example, means no more large long-distance bills, and the calls come through clear and crisp. With Wi-Fi calling, you can call from anywhere you have a Wi-Fi connection. Landlines seem like magnets for telemarketers, and many people feel the "Do Not Call" registry is more like a request for calls. The Federal Trade Commission received 7,157,370 complaints about telemarketers in 2017 — and those individuals are only the ones who reported the calls. Although some people claim they receive unsolicited sales calls on mobile phones, telemarketing calls to mobile phones are illegal. Scammers also target landlines, especially those belonging to older adults. While nearly 66 percent of Americans ages 25 to 29 do not own a landline, 86 percent of those older than age 65 do. Age-related cognition issues are one of the reasons scammers target older adults, and those scams cost people money, sometimes wiping out their savings. Even if telemarketers get through to you on your phone, smartphones let you block incoming numbers more easily so that the phone automatically rejects the call. The procedure for blocking calls on landlines is not only more complicated but limited to 20 or fewer phone numbers. Additionally, many phone providers charge a monthly fee for that service on a landline. Blocking numbers on cell phones is easy and has no limits or extra fees. Another advantage, having your smartphone with you means never missing an important call, even when you're away from home. If you're using a landline, you're tied to the house until that important call comes, which could be hours. Switching to a cell phone means more mobility even when waiting for a return call. For many people, that peace of mind makes owning a cell phone better. Being able to make emergency calls can keep people from ditching their landlines. When you call 911 on a landline, the operator automatically gets an address on the screen. With mobile phones, the operator gets an area based on the nearest cell towers. But today's technology has a solution. With e911, you register your mobile phone number and your address for emergency purposes. Upon registration, operators can pinpoint your location just like a landline. This defaults to the billing address for the cell phone. One other alternative to landlines exists. Services such as Ooma use your computer and cable internet connection. You pay a one-time setup fee and calls, both local and long-distance, are free. Plus, the system connects with 911 just like a landline and works with voice-enabled smart devices. The only catch is that you must have a high-speed internet connection, not a Wi-Fi connection. Technology enables us to change from relying on landlines to using mobile phones. Why pay for a phone you rarely, if ever, use? Smartphones come equipped with caller ID, call waiting, call forwarding, voicemail, and call blocking. And mobile phones receive fewer junk calls. Parting ways with your landline makes sense and saves money. As long as there will be power outages I will Never give up my Hard Wired Land line.